Leverage our Intelligent Healthcare Network™ – the single largest financial and administrative network in the United States healthcare system. We give hospitals and doctors the tools they need to verify patient eligibility in real time, submit claims electronically, automate their billing systems and receive payment across the entire revenue cycle. A cloud-base revenue cycle management platform provides simplified, yet comprehensive visibility across both patient and payer revenue cycles. We work together with Kareo to achieve efficiencies in patient financial clearance and collection workflows. Experience real-time, nationwide , reliable connectivity to thousands of government and private payers. We process 12 billion transactions annually and connect to over 800,000 physicians and 2,100 connections. Change Healthcare provide a single, interactive and standards-based transaction processing and analytics platform, which powers the single largest financial and administrative information exchange in the U.S. healthcare system. Change Healthcare’s expansive payer network and Kareo enable you to connect to your payers directly to verify patient eligibility before services are rendered. A patient’s insurance eligibility with a Change Healthcare payer can be checked for all patients in a specified time period or you can check scheduled appointments in real-time. Change Healthcare connects to hundreds of payers and filters all ERA transactions into your Kareo practice management system in standardized formats. The automation improves the consistency of your cash flow while also saving time and effectively utilizing your practice resources by electronically posting payments directly into patient accounts. Centralize claims management for hundreds of national and regional payers and automate your paper claim tasks. Our powerful, flexible and easy-to-use solutions track all primary and secondary electronic claims through the entire revenue cycle process, helping to create faster, more efficient adjudication and increased acceptance rates. 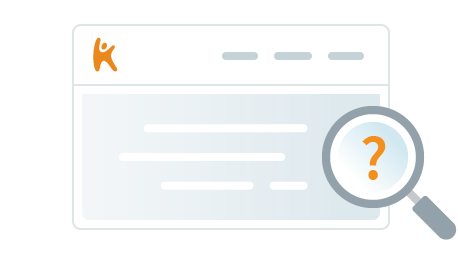 Claim status inquiries enable you to run real-time and batch queries on all submitted transactions. Information available includes the exact status for the claim I including processed date, total charge amount, claim paid amount, and claim adjudication date. Submitting paper claims electronically eliminates the task of searching for payer ID’s and helps you get paid faster. Submit your secondary paper claims just as you would a regular claim, and Change Healthcare will generate a generic EOB of the primary payment information and forward it to the payer along with the claim.